As part of my new role with the Michael Aldrich Foundation, last weekend was spent at the Saturday Fashion Club at the University of Brighton turning plastic waste into beautiful fashion accessories. The Saturday Fashion Club has been running for 12 years and is part of the National Saturday Club founded by designers John and Frances Sorrell. The Club has developed significantly over the years and now works with 14 to 16-year olds who attend local partner secondary schools who may not come from traditional university backgrounds – being the first generation in the family to access HE or living in an area where few people choose university as an option. This inspiring programme of workshops, masterclasses and trips led by talented knitwear designer, Juliana Sissons explores a variety of fashion and design techniques and processes. 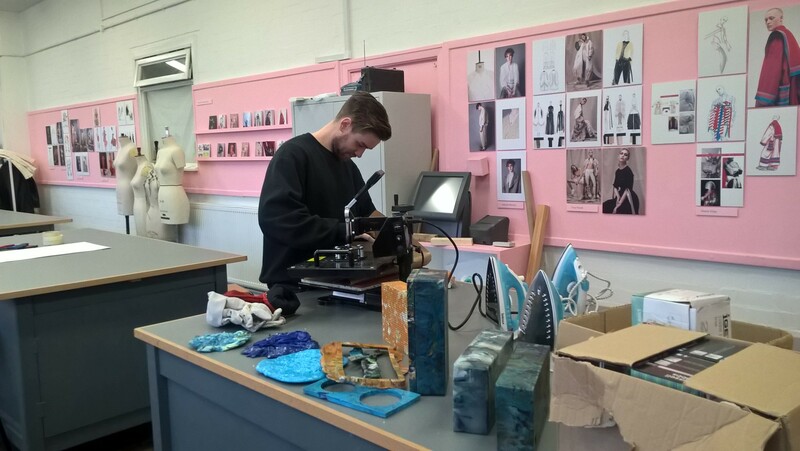 This year the Club is working with Designing for the Future alumnus Tom Meades who since graduation has set up his own design agency, GOMI which focuses on recycling plastic waste. 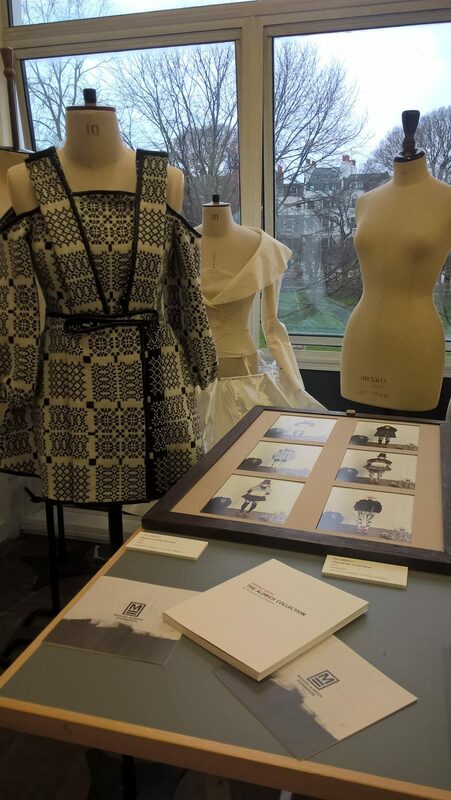 We also brought in artefacts from the Aldrich Collection to inspire the students further including Caroline Saul’s Bulbous Forms, leather knit bags from Karl Pinfold and Amy Williams’ final year fashion project “Give a Folk”. We are hoping to be able to exhibit the outcomes from this and other community arts projects at an event in Brighton this Summer. Watch this space!